It makes me sad that we have such a day, but it is necessary. Suicide must surely be out of the closet by now. It happens. It happens every 40 seconds, on average, around the globe per the World Health Organization, and in the United States there is one suicide, on average, every 13 minutes. Even more startling are the numbers of those who have attempted suicide. The National Suicide Research Foundation reports that suicide attempts are 20 times greater than a suicide. US statistics allow there are 5 million living Americans – the population of Norway — who have attempted suicide. And let us not forget the surviving loved ones of those who have died by suicide. The estimates start at five people being impacted per suicide and have risen to 32 or more people who are directly in the wake of a single suicide. Given my experience, I would most certainly go with the larger number. Not only is there family, but there are friends, co-workers and others who are part of the individual’s orbit of connection. And these survivors of suicide can be so traumatized by the sudden loss of their loved one that they, too, are at risk for suicide themselves. Generally speaking, suicide happens because at that moment in time — and with the likely impact of extreme emotional pain, haywire neurochemistry, constricted thinking, trauma, dire circumstances, and/or the influence of substances — it felt like the only response to end the agony of their life. We are talking about a great deal of pain – be it the person who died by suicide, attempted suicide, considered suicide and/or is surviving the loss of a loved by suicide. What can we do to help make a difference? Reach out to decrease loneliness and isolation. I love the story of the woman who would occasionally leave freshly baked pies for her very lonely, dismissive and cantankerous neighbor. After almost 16 months, the wall finally came down and a connection was made. Become tolerant of others. Don’t punish differences. Be it hair color, body size, sexual preferences, clothing choices, religion, culture, race, socioeconomic status, level of education, kind of work, appearance or any other something that is different from you, learn to accept. Making someone feel small, belittled and terrified does not serve any of us. And that kind of terror begets terror. Let’s stop the cycle and increase the cognitive dissonance around bullying. Check out your local resources and find help for your depression, addiction, run-away anxiety, PTSD and other mental health concerns. You don’t have to do it alone. There’s no shame in getting help. Ever. We all need a helping hand from time to time. Give others the benefit of the doubt. Lend a helping hand. Proffer a smile. Or simple be present and acknowledge. Kindness is never wasted. It positively shifts energies and impacts the neuroplasticity of our brains. Not only does kindness makes us feel good, it’s good prophylactic medicine. Write a check, volunteer or take steps to help those of in need of a job, a bed, a meal or how to read a book. Advocate for mental health resources. Support our veterans. Every little bit does count. Work on your emotional intelligence (EQ). Fluency in expressing our feelings in a direct, non-threatening way we can make a huge difference in our personal interactions. It helps us feel connected and understood. After all, we are social beings. No more cursing at your inner demons. No more emotionally leaking or ranting and raving due to your unhealed childhood wounds. If needed, get help. And learn to accept – and, even, love – your very humanness. Put an end to the snarky comments, gossiping and mean-spirited character attacks. Put judgment and criticism in the deep freeze. We never know someone’s situation, particular context or backstory. As the saying goes, everyone is struggling and fighting their own battles, a running, pejorative commentary of another only causes more pain. Develop your cultural IQ (CQ). We all share one blue-green marble. Let’s respect our wealth of cultures and learn to understand one another. The more we learn, the greater are our experiences as we expand our respective comfort zones. Crickets may not be my go-to food, but I am happy you are enjoying your crunchy meal. There is room and space for each of us. Who needs judgment? Practice compassion. Compassion asks us to walk in one another’s shoes. 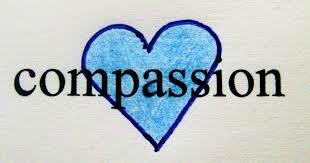 Compassion asks us to treat others the way we would wish to be treated. 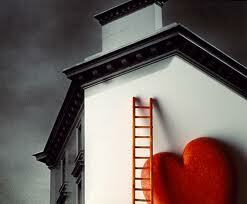 Compassion asks us to lead from the heart. Everyone has a bad day, a bad season or, even, a bad couple of years. Sometimes, we just need to let it go, let it slide and give the other person (or ourselves) a break. Sometimes, what we don’t say can be the greatest gift of all. Latitude allows us to take a breath and re-center. In the behavioral sciences, we know that accentuating the positive goes much farther than harping on the negative. With discernment, you will know where to practice latitude. Talk and disempower the stigma of suicide. Suicide is universal and global. It has been around since the earliest of times. Suicide has been tainted by taboo, shame and guilt. Don’t be afraid to talk about suicide. Bring it out in the open. Don’t be afraid to ask. The “S” word is far too prevalent for us to ignore its presence or to be in denial. Let’s have heart-to-heart conversations and put suicide in the light of day. No more secrets. No more hiding. Let’s talk. Let’s connect and change the paradigm. Be a power of example. The wonderful editors of the Huffington Post Canada blog have put together a month-long series on teens and mental health, entitled Frame of Mind, which you can access here. There are a number of first person-stories and many focus on suicide. As you know, suicide is a global epidemic that calls for our awareness, education and compassion. This series is a great start in that direction. Do check it out. New articles will be added regularly. Depression and suicide are inexplicably linked. In three minutes, Sabrina Benaim beautifully and powerfully explains the often misunderstood concept of depression. Brava! Very well done! This is Janie Brown’s beautifully compassionate and loving response to a friend’s struggle with mental illness and later, suicide. The original piece was featured on Krista Tibbett’s “On Being” blog, where Janie Brown was a guest contributor. The phone message you left yesterday from an unidentified B&B somewhere on Vancouver Island said I would know by morning whether you had chosen to live or die. You said the pills were lined up, counted, on the dresser. A month before when you were unraveling again, you asked us, your closest friends, what we thought about you choosing to end your life, and we all said the same thing: “You must be tired of it all after so many cycles of mental illness in your sixty-two years, but with medication and therapy you always get better.” We always had a “but,” a reason we wanted you to keep choosing life. We hadn’t accepted you had a terminal illness then, a terminal mental illness. If you had advanced cancer, we might not have tried so hard to encourage you to keep going, if you hadn’t wanted to. Today, I know what I want. I want you to live so we’ll carry on being friends, as we have for twenty-five years. I want you to continue to sharpen my knives and bring me organic beef for the freezer when you come to town. I want to call and hear your business voice on the answering machine. I want to look across the room and feel your heart as wide as the universe as you play your ukulele with abandon, your voice belting out Bob Marley’s “No Woman, No Cry.” I want to feel your love for me, your deep caring that my life matters to you. Most of all I want you to be happy. But I know it’s not about what I want. If you choose to live maybe you’ll find a sweet little home here in Vancouver just around the corner from us, and we can have dinners, and music nights, walks, and late-night conversations. We can work together, cook together, and drink good wine together. Ultimately, we would see each other through and out of this life. If you choose to die tonight, I will carry no judgment, just a huge ache in my heart of missing you. You have lived a beautiful life, and a tough one. You have had to encompass more internally than anyone I have ever known, and I have nothing but admiration and respect for the way you have conducted your life. You are a good person. You have tried. You have succeeded on so many levels. I hope that if you choose to leave, you will truly know what a life of devoted service you’ve lived, and that you have loved, and that you have been loved in return. Whether you choose to live or die today, I will always love you. She chose to live that night. She said she was too scared to be alone, as she died. A week later her psychiatrist and her closest friends encouraged her to go to a hospital where she would be kept safe from harming herself, and hopefully receive the treatment she needed to heal. Even though she persuaded the occupational therapist to take her grocery shopping so she could make mulligatawny soup for the other in-patients (being a nutritionist, she worried the hospital food wouldn’t help them to get well); even though we snuck her out to a restaurant for a big salad, and a hearty glass of Cabernet Sauvignon against hospital regulations. Even though we took a guitar and songbooks to the common room of the acute psychiatric unit, and sang together, and doors opened and patients peeked out, slowly sidling up to join the sing-a-long until an anxious nurse shut us down for fear of over-stimulating the patients. Even though she did her best to maintain her dignity as her body survived the cycle of acute illness — her soul withered, slowly and quietly, over those months committed to a psychiatric unit. Six months after she returned home, she told me she was unraveling again. She didn’t ask her friends what she should do, or tell them what she intended to do. One year ago this month, she didn’t wait until she was too ill to make the choice to die. The day someone you love chooses to die must always feel too soon. September 5, 2014 was too soon for me, but I know it was likely not a moment too soon for my beloved friend. That day ended a lifetime of living with the enormous challenge of mental illness, a lifetime of immense loving and whole-hearted living, and a lifetime that impacted me more than I can possibly comprehend yet. Janie Brown is the executive director of the Callanish Society, a nonprofit organization she co-founded in 1995 for people who are irrevocably changed by cancer, and who want to heal, whether it be into life, or death. An oncology nurse and therapist for almost thirty years, Janie explores her ideas through stories on her blog www.lifeindeath.org and is working on her first book.